Brent poses with one of his creations. 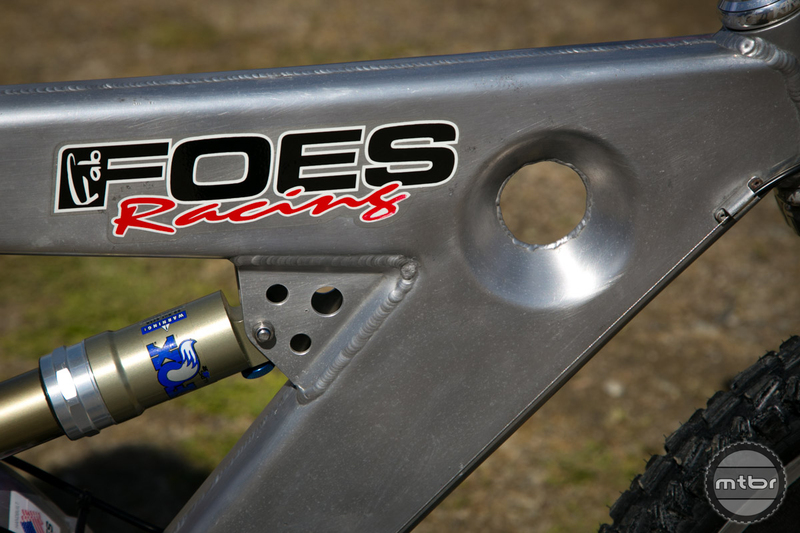 Back in the late 1980s, Brent Foes was an established name in off road truck design and fabrication. Somewhere in the early 1990s, he caught the cycling bug. After looking around at existing models, he felt he could do better. 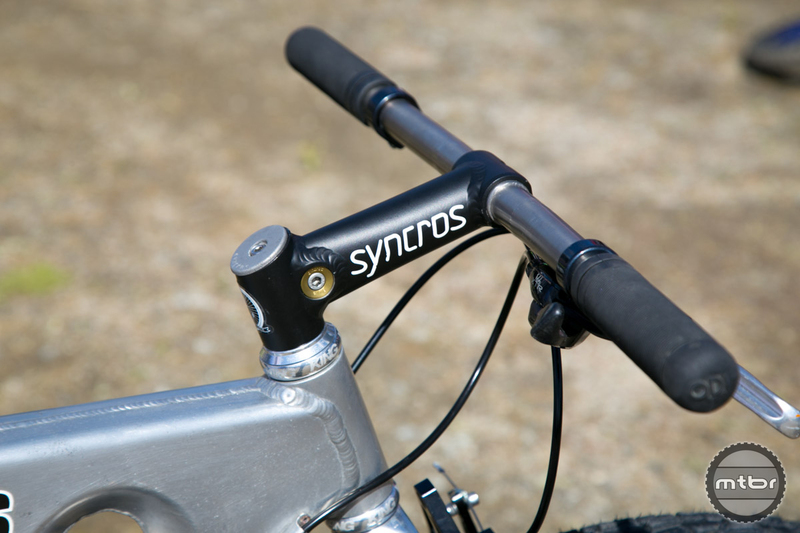 This LTS was one of Brent’s first prototypes. 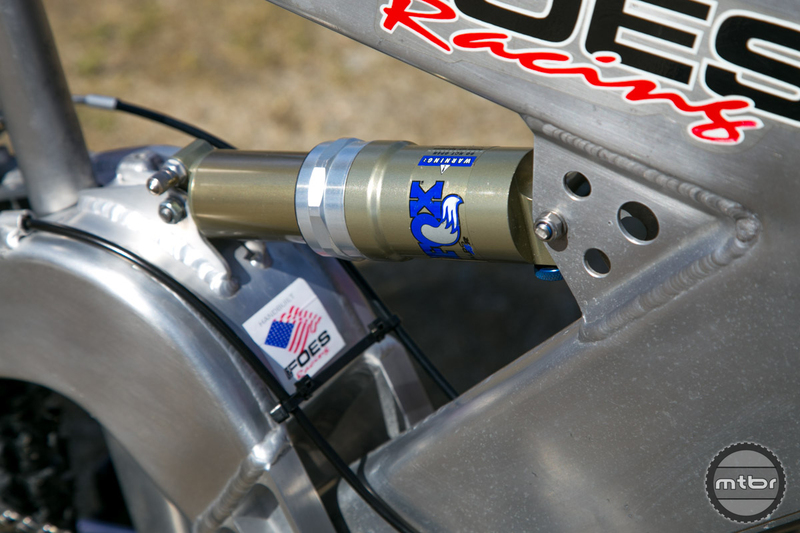 This LTS was one of Brent’s first prototypes. 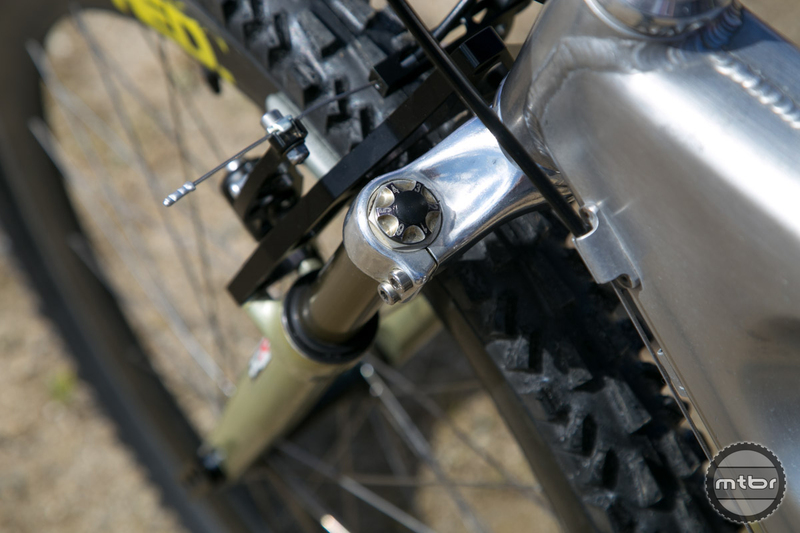 It was hammered by hand over a wooden mandrel and featured an incredible 6” of rear travel. 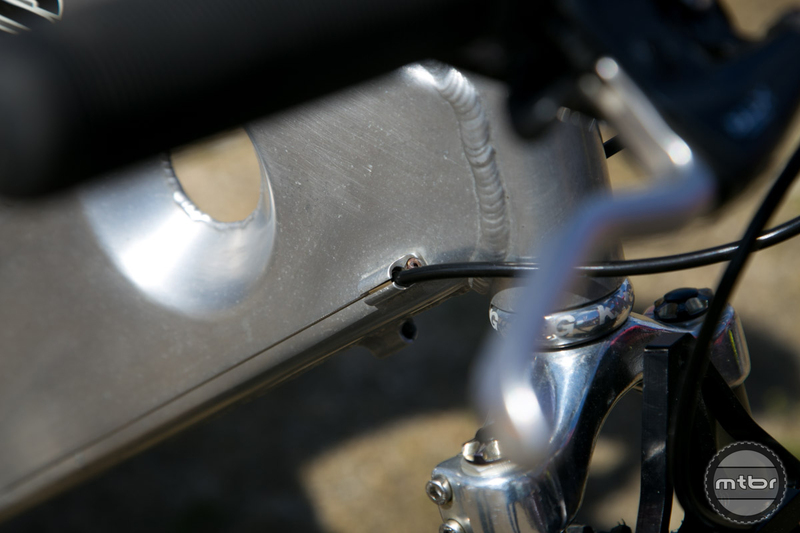 The bike recently underwent a full restoration courtesy of Stefan Utz from Cycloworks.ch. 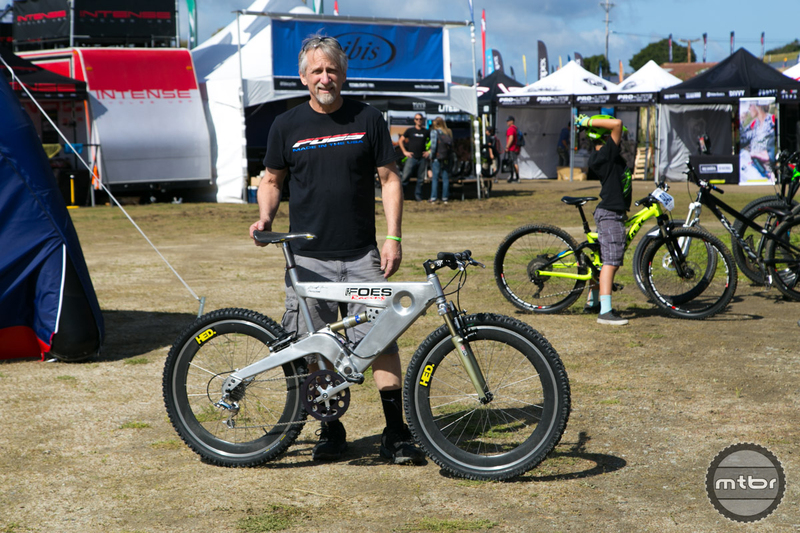 It’s on display all week at the Sea Otter Classic and will then head to the Mountain Bike Hall of Fame. To learn more, catch the video above or scroll through for more pictures. 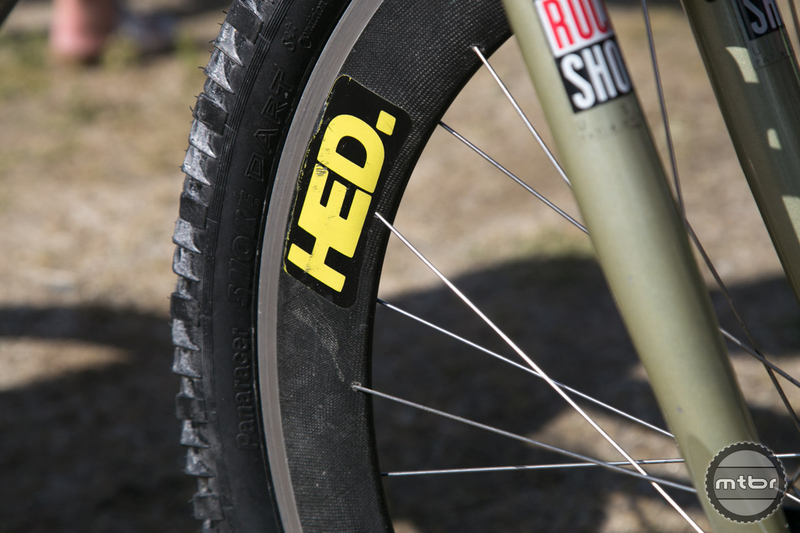 Brent claims the formed donut helped prevent flex by tying both sides of the frame together. 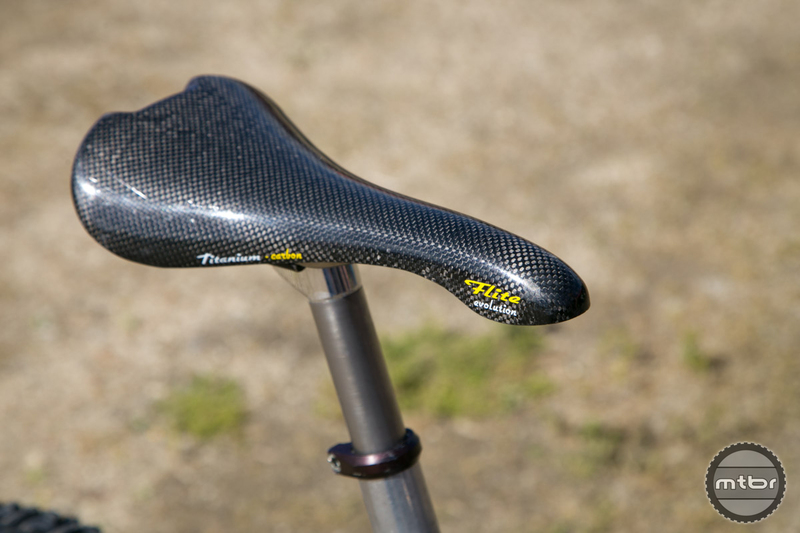 Titanium edition of the Flight Evolution saddle. 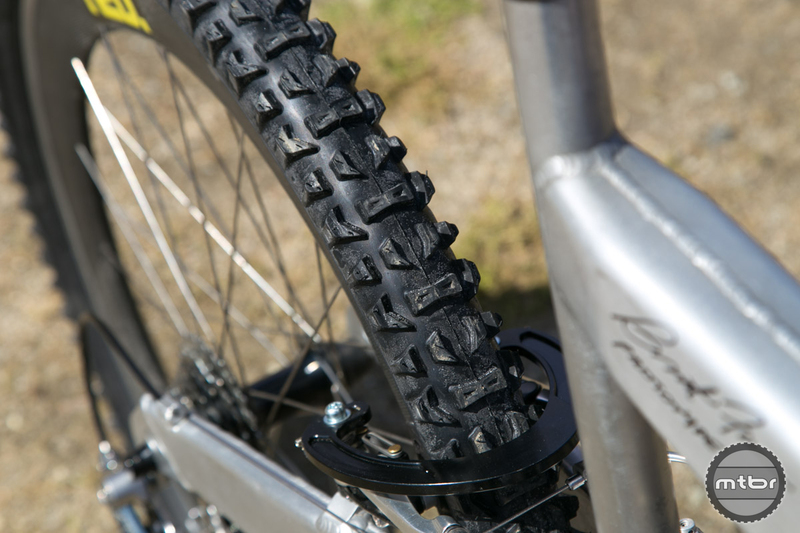 When this saddle was new, it retailed for around $400. 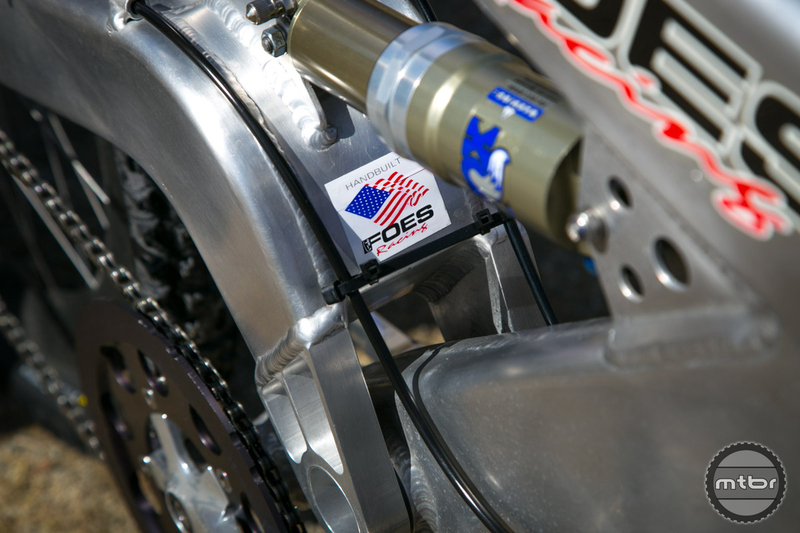 Modeled after concepts Foes learned developing off-road trucks, the LTS featured 6” of rear travel. 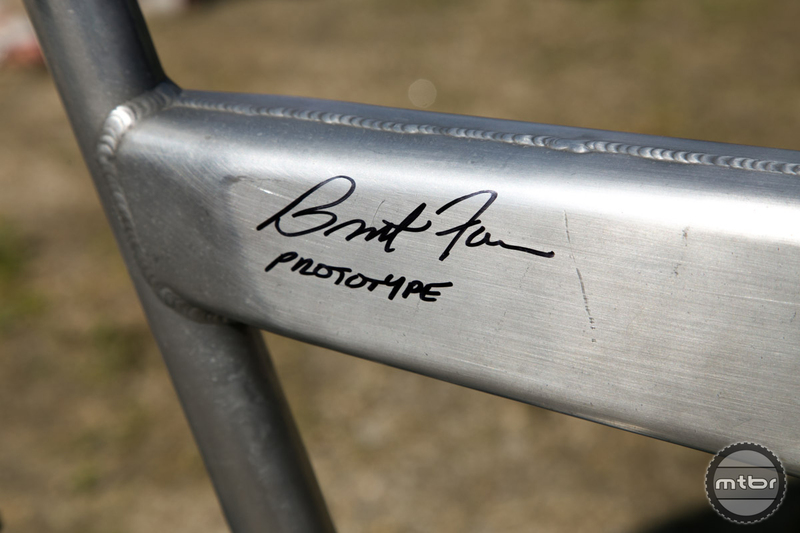 Like all of Brent’s bikes, this frame was built in America. 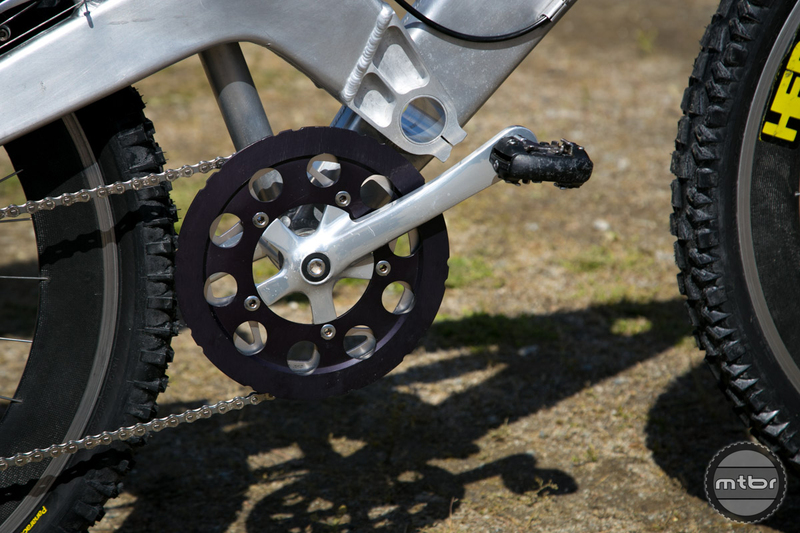 This bike is currently sporting a 58T chainring but could run a 60T. 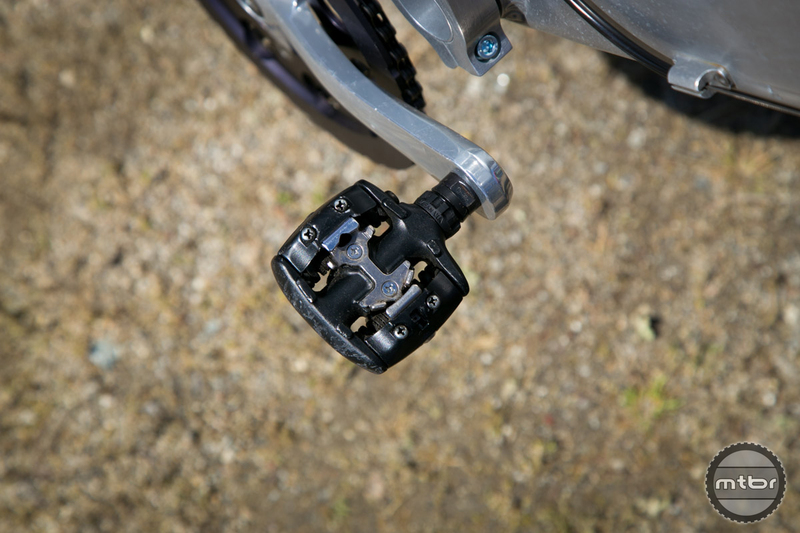 The Shimano 737 was one of the first SPD pedals to hit the market. 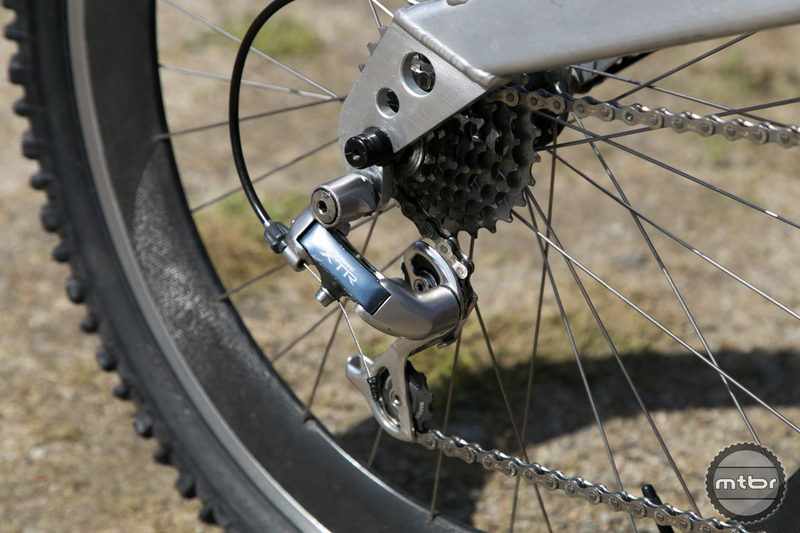 1x drivetrain setup with XTR for shredding downhill. 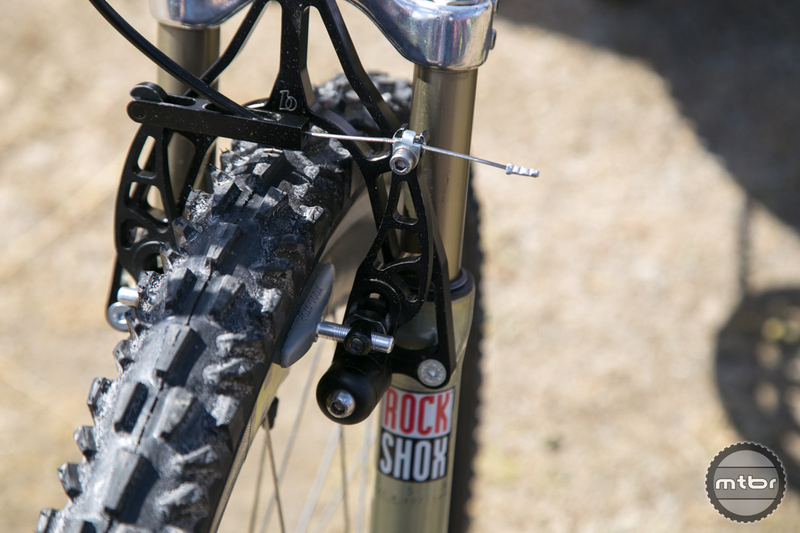 Those brakes look like the Paul Brodie ‘Rockin Roosters’ made in Vancouver. 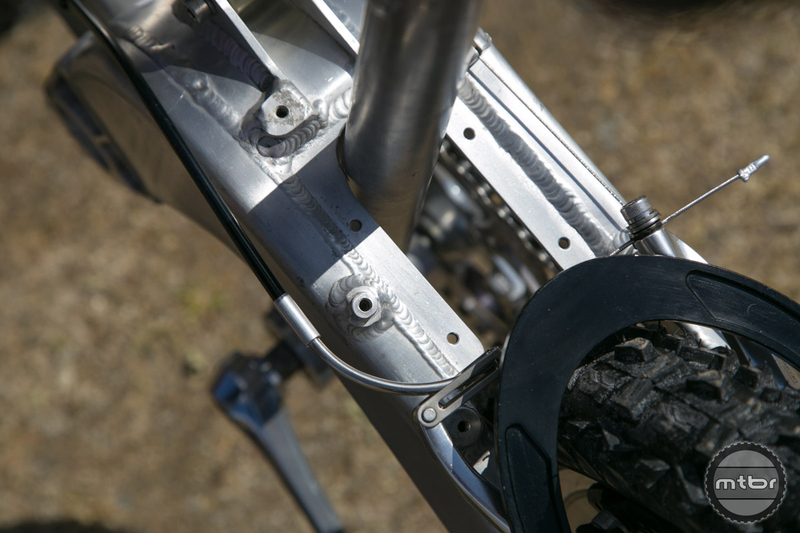 Here’s the actual bike, upsidedown fork and disc brakes! 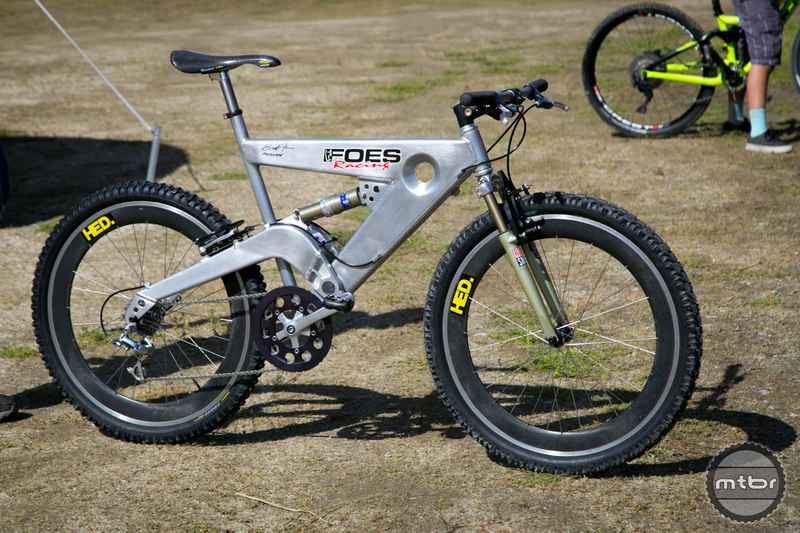 I have a MINT condition early 90’s FOES mountain bike for sale. Los Angeles California.